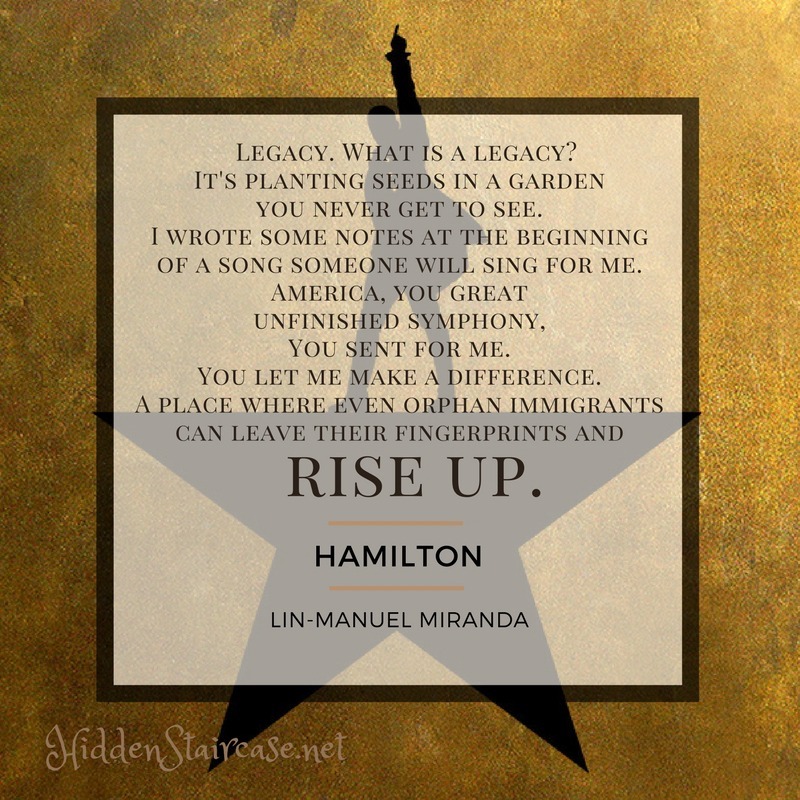 TTT: My Absolute Favorite Quotes…From Hamilton. Officially Top Ten Tuesday is on hiatus for a few weeks. The lovely ladies over at Broke and the Bookish need a few weeks off, and after running this fabulous weekly meme for 6 years, I don’t blame them. So it’s a freebie week for those who choose to participate. And I apologize for being a day late with this post. 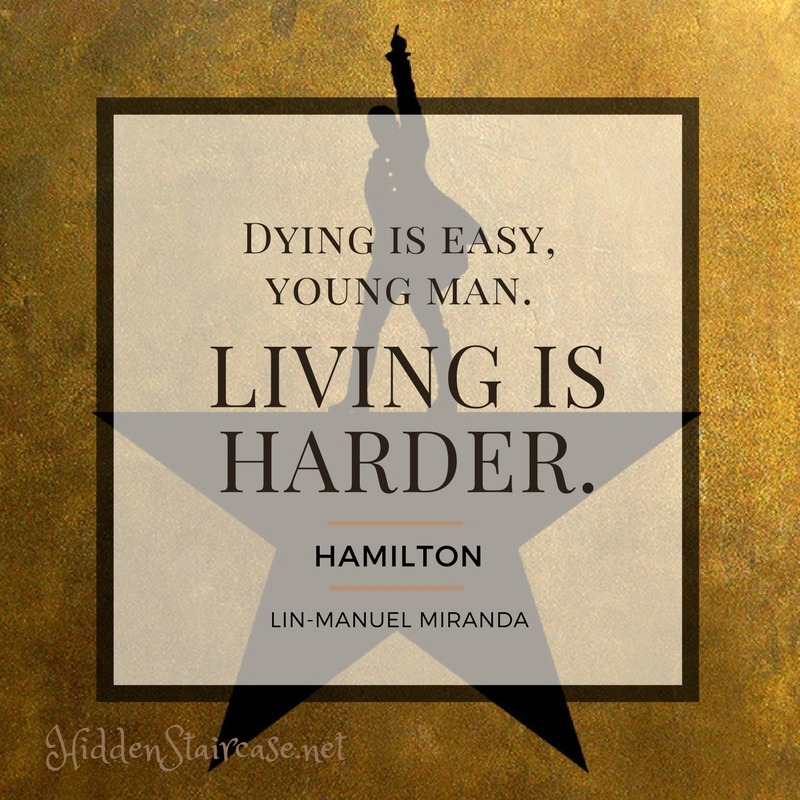 I do my graphics on Canva, and ran into some technical difficulties (with my computer, not Canva which is an awesome graphics tool!) and couldn’t get them done for a Tuesday post. Last week I was out of town all week for work. Our team is spread out around the country, and once a year we all get together for training and merriment. In one part of the training, we all had to give a two minute presentation about something we love and how we can translate that into an idea for work. 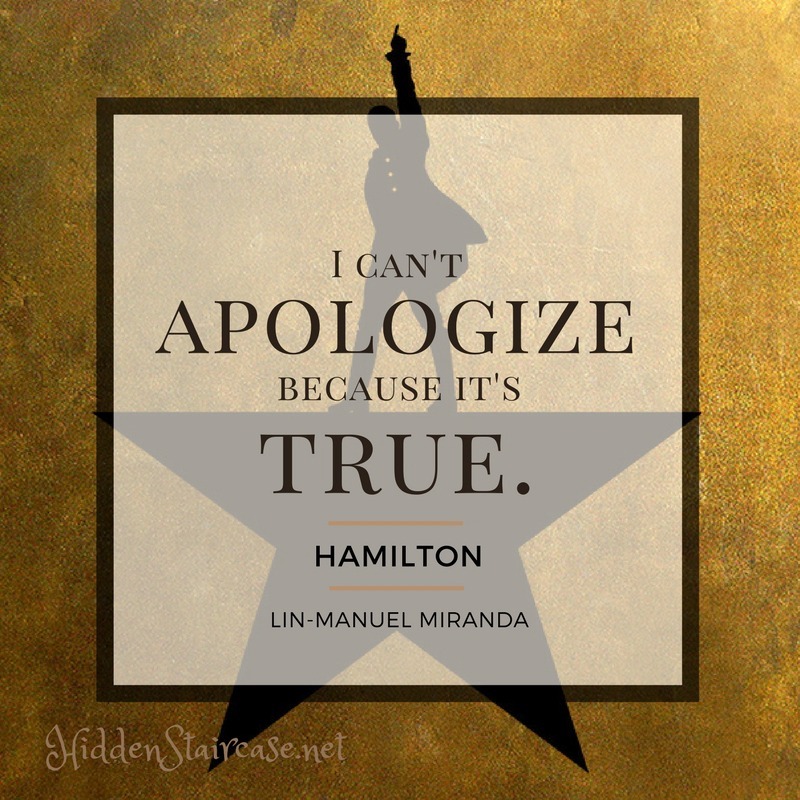 I ended up using the musical Hamilton for my presentation. 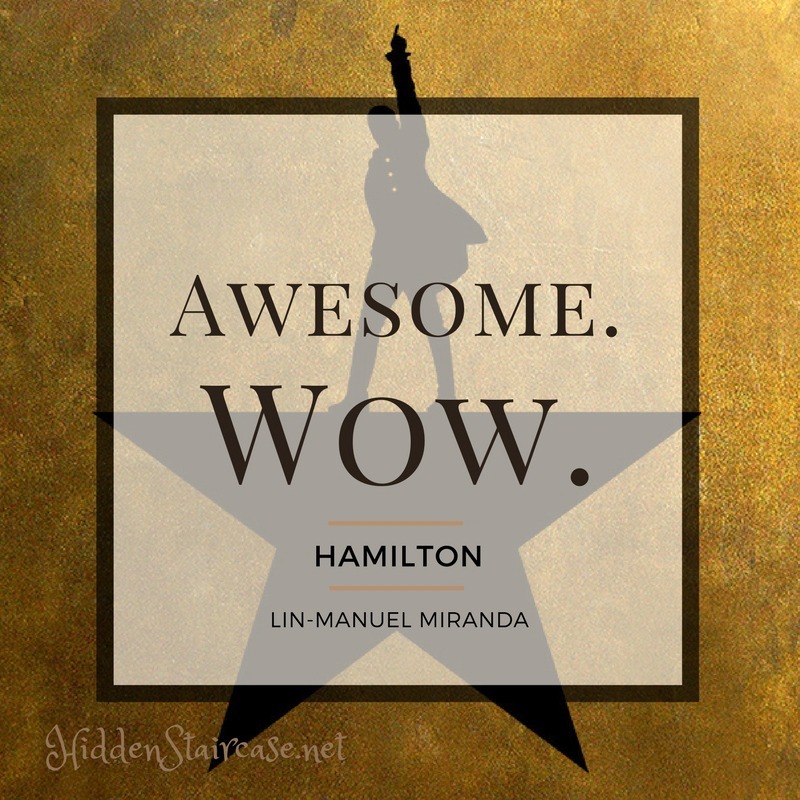 It was so much fun, I want to continue the Hamilton love here in this week’s TTT. My Top Ten Favorite Hamilton Quotes. I actually wrote a blog post along these lines last August, Looking for an answer? Hamilton’s probably got one. 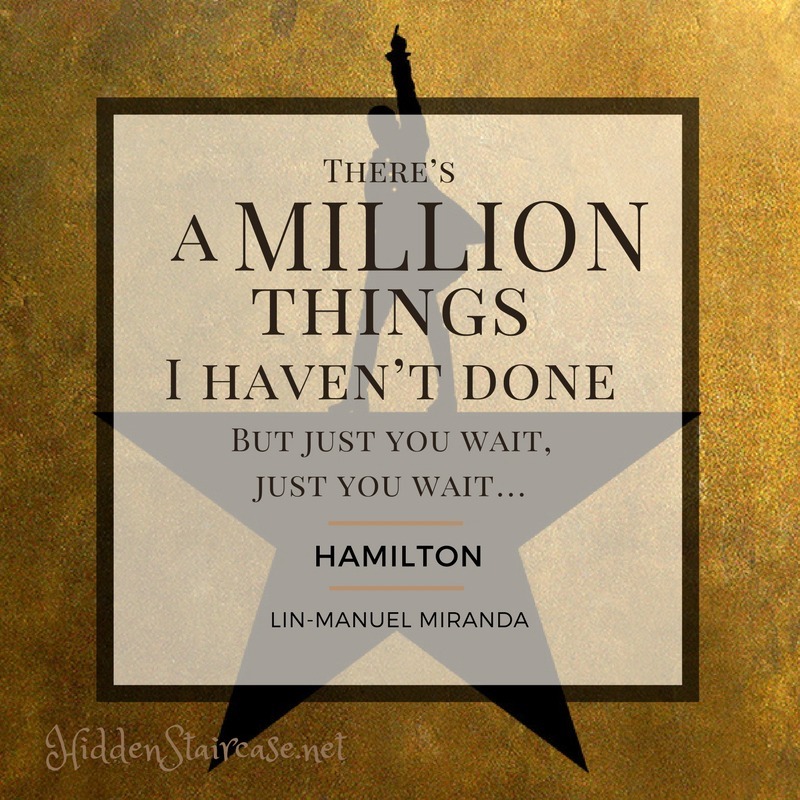 Now that I think about it, I’ve been listening to Hamilton for so long I could do a Part II to that post. 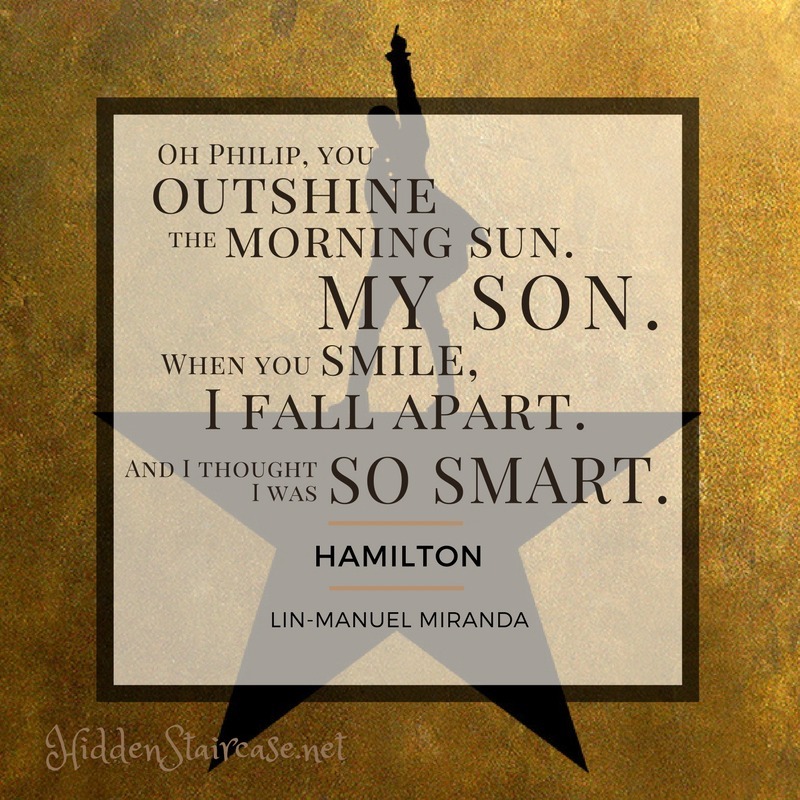 I really do respond in casual conversation with Hamilton quite a lot. And if you don’t know, now you know. 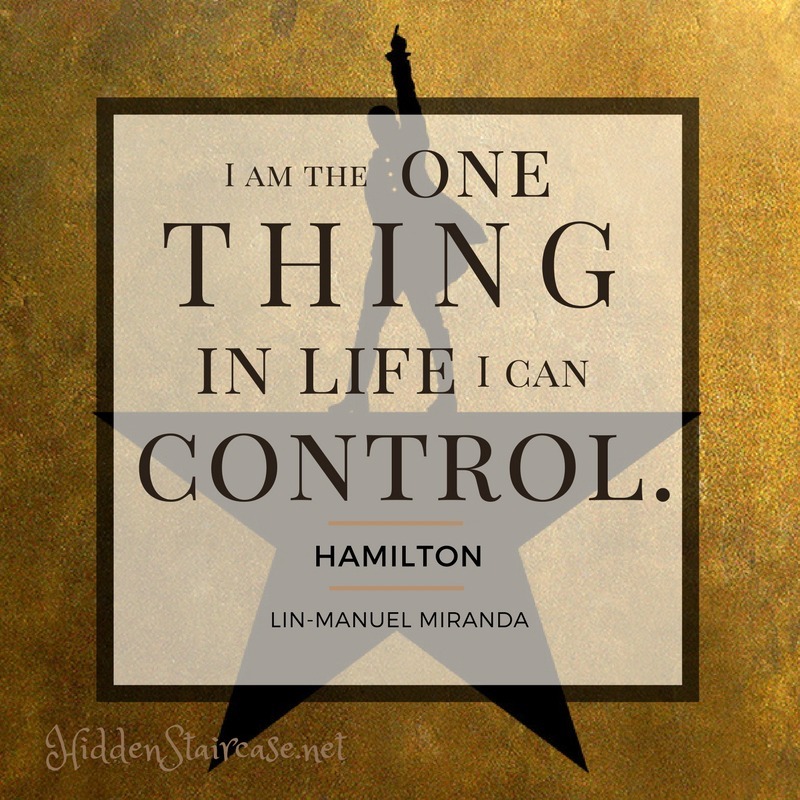 Today I’m going to give you my top ten (well, eleven) favorite Hamilton quotes. There are so many good ones, it’s hard to pick just ten. (I guess that’s how I ended up with one extra.) A few are repeats from my last post, but the more I listen, the more I find. Click on the graphic to scroll through the quotes. And one honorable mention from Cabinet Battle #1…”Bend over, I’ll show you where my shoe fits!” As the mother of two boys, that line is pretty popular at my house right now. Have you listened to (or even *gasp* SEEN!! [If you have I’m so jealous]) Hamilton? 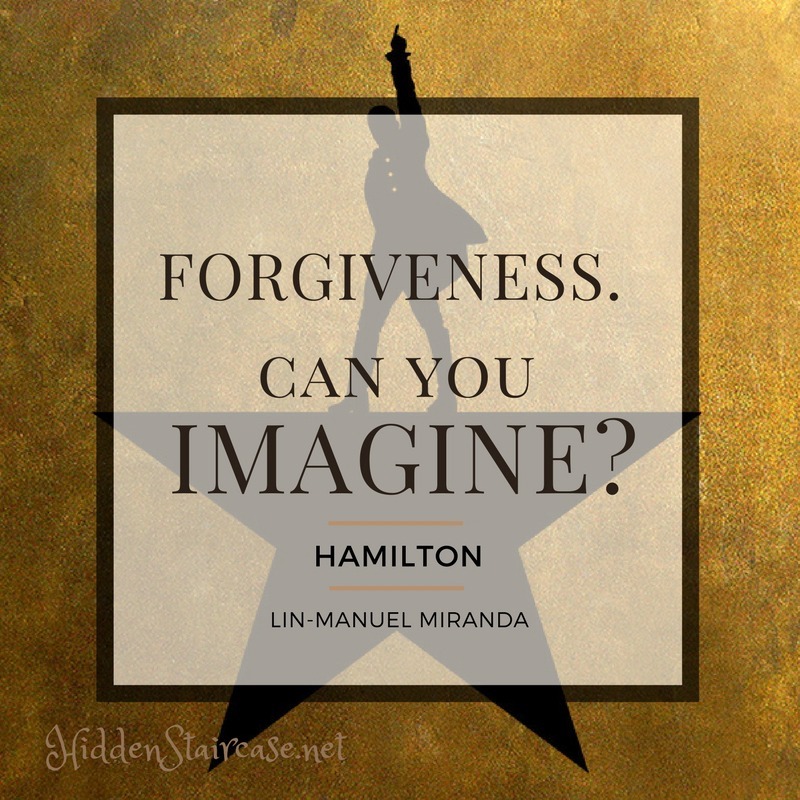 What is your favorite quote from this fantastic musical? (You can pick more than one!) And if you did an optional TTT on this unoffical week, link up below! Something else on your mind this week? Pull up a chair and a cuppa and let’s discuss. We’ve got time. We’re on a freebie. ← The Nest. A mini review.